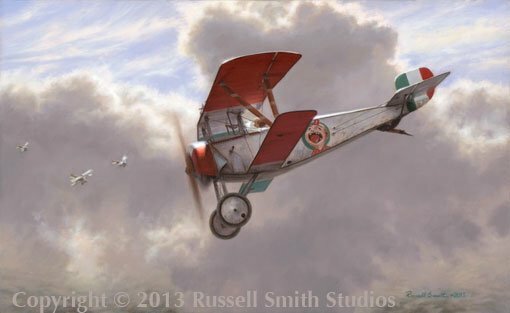 This painting features the Italian Ace Michelle Allasia. Allasia was born in Ferrara, Italy and served with 80 Squadriglia and Sezione. He claimed 6 victories - 5 of which were confirmed.